Let's take another chance for conversations with new freinds, feel the spark of connection. 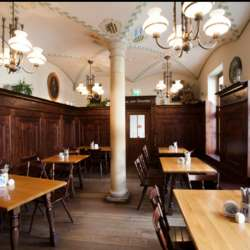 Take the opportunity to enjoy the classic Bavarian atmosphere in AUGUSTINER Dresden with its classic, warm decoration. It is located on the heart of the Altstadt. 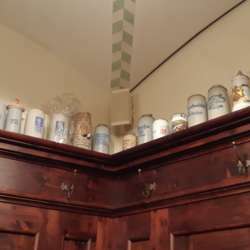 We will gather on the second floor; there we will find more old, classic wood and light decoration and free space for sitting or standing, enjoying a Bavarian meal, and a huge beer bar. Your presence will be very special to us, you are always welcome at our events. So, come and connect with other expats in town and give our new arrivals to Dresden a warm welcome. We would kindly ask you to only sign up for the event if you're sure to come. In case you have signed up but something else has come up in the meantime, please cancel your attendance to help us planning and improving the quality of our events!